Meet Muraly TV, a solo-adventure rider. Without representing any group or party or organization, as an Individual he does solo-adventure missions once in a year for a social cause. Muraly is an Indian Air Force Veteran with 20 years of service from 1986 to 2006. This year he is doing a very big mission. 500kms solo cycling in Andhra Pradesh and Karnataka and then 5000kms solo-biking in Karnataka, Maharashtra, Gujarat and Rajasthan. Phase II: Apx. 5000 kms of solo biking on the roads of Karnataka, Maharashtra, Gujarat and Rajasthan. Per day 500+ kms ride is the plan. He will be organizing a mass level of Plants Distribution to various organizations, institutions, residential layouts, offices, defence establishments and individuals at all the States he is covering during his journey apart from conveying the significance of Organ Donation. Though he is not traveling on the roads of Tamil Nadu and Kerala, yet some arrangements have been done to plant a few saplings over there as almost all the previous missions both those States were covered. On completion of the initial bond of 20 years, as a pensioner Muraly came out of IAF. For 7 years he worked in some pvt companies and MNCs as Administration Manager in Bangalore. Now, he is a full time writer who writes children literature ie. poem, stories etc. His age is 49. 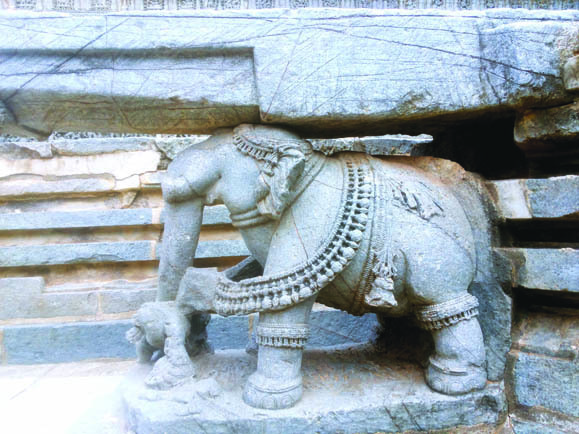 After retirement, he got settled in Bangalore at Dwaraka Nagara, Chikkabanavara post. He is a solo-adventure rider. Without representing any group or party or organization, as an Individual he does solo-adventure missions once in a year for a social cause. In 2003 he started solo-cycling. 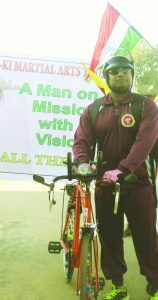 For over 10 years he has done solo-cycling for different social causes i.e. 2003 to 2012. After 2 years break, in 2015 again he did the longest solo cycling for 1300kms in 11 days including 2 days break. Muraly TV, a solo-adventure rider. Unlike previous years, this year he is doing a different type of Mission. 500kms solo cycling in Andhra Pradesh and Karnataka and then 5000kms solo-biking in Karnataka, Maharashtra, Gujarat and Rajasthan. His mission is to spread the awareness about Protect Environment by planting more trees and also about the importance of Organ Donation after death. During his journey he will be distributing pamphlets containing about environment protection printed in Kannada, Telugu, Hindi and English languages to people by hand. Muraly will be starting his journey on 28 Oct 2017. First he will be going to Gorantla in AP. Principal of SSS PU and Degree College at Gorantla in presence of locals, staffs and students; will be talking about his mission and also handing over saplings / plants to the college principal. On 29th Oct, while returning from Gorantla, he will be distributing plants at Devanahalli. Besides he will be visiting a few companies near International Airport. There also, plants will be distributed. On 30th Oct, he will be cycling around 125kms in and around Bengaluru city by visiting many colleges, schools, companies, defence units etc to hand over plants. This day, as part of this mission, he will register his name for Organ Donation at Command Hospital, Air Force Bengaluru. Then on 31st Oct, he will be cycling in the rural parts of Karnataka. On 1st Nov, on Rajyotsava Day in the morning hrs, he will distribute plants at his residential layout Dwarakanagar and nearby areas. After a day’s break, Muraly will begin his journey – SOLO BIKING to Jaisalmer. Daily about 500-520kms is his plan to ride the bike. Jaisalmer is a border city at Thar Desert in India. 1992 to1995 he served in the Indian Air Force Station in Jaisalmer. After 22 years, once again he is going there. 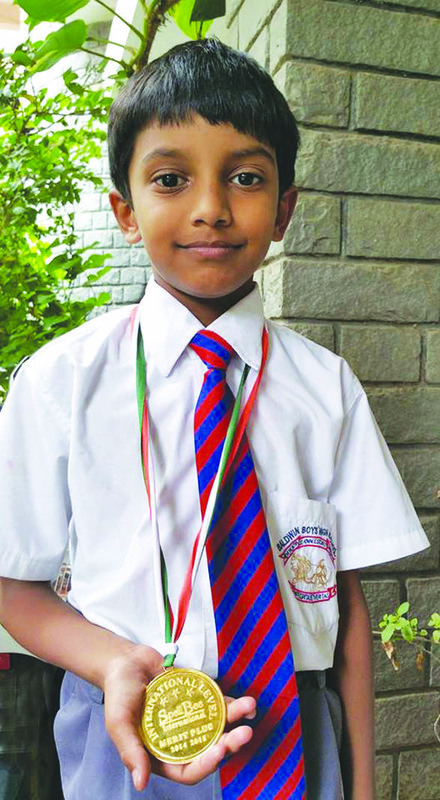 “My aim is to reach Jaisalmer in 4 days,” he says. “On reaching Jaisalmer, he will be addressing people and large scale plantation activities will be organized in the event. I will be staying in Jaisalmer for 3 4 days and covering 500kms around Jaisalmer by doing plantation at various locations”, he says. “Most Important My destination is to reach at TANOT. It is an international border area where 1965 1971 war took place. My biggest wish is to distribute a few plants at Tanot”, he says. “Coming back to Bengaluru from Jaisalmer, I am planning to visit my training centre in Belagavi where I did training in 1986”, Muraly says. “I start my cycling very early morning usually by 0500h in the morning. This time used to be very risky mainly due to dog attacks. I have fought with dogs in many years during my cycling in the morning hrs. During cycling, I eat only fruits and have water. Only night time, I will have food. This is to keep the body light to pedal easily”, he says. “In daily life, Monday to Saturday I do work out in Gym. I also joined for Karate class at the age of 40 at Chan Ki Martial Arts (Trust) and took a black belt in 3 years at the age of 43. 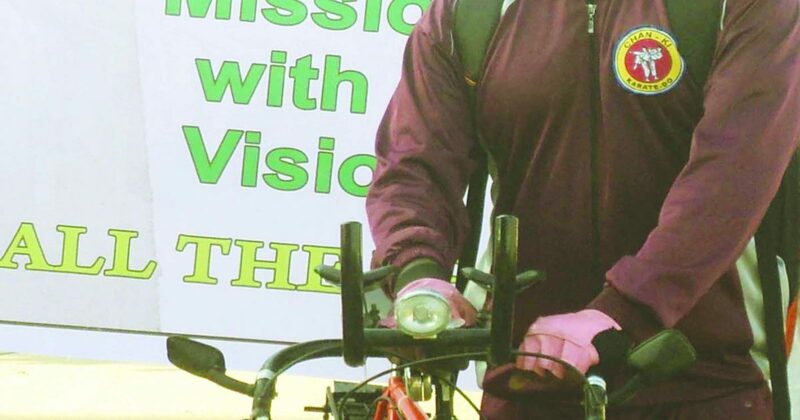 Every Sunday, I go for 60kms of cycling or 15kms of walking without food to improve the endurance / stamina”, he says. “By doing these Missions, I am trying to convey to the public to Believe in Love and Humanity regardless of any region, religion, language, caste or gender. Be a true indian wherever you live or whatever language u speak or whichever caste u belong to. This is what I want to tell the people through my Missions”, he says. “I am no exemption from others. I am just a common man with a family with commitments and responsibilities. Yet I dedidate my strength, enthusiasm, good will and a few days once in a year for a social cause. My family is my greatest strength who supports amidst all hardships with a strong mind,” Muraly says. His wife Indumathy is a homemaker and daughter Chandni is a 1st year M.Sc Statistics student with Bangalore University. They proudly thank Indian Air Force for making them strong enough to support Muraly in all his adventure missions. 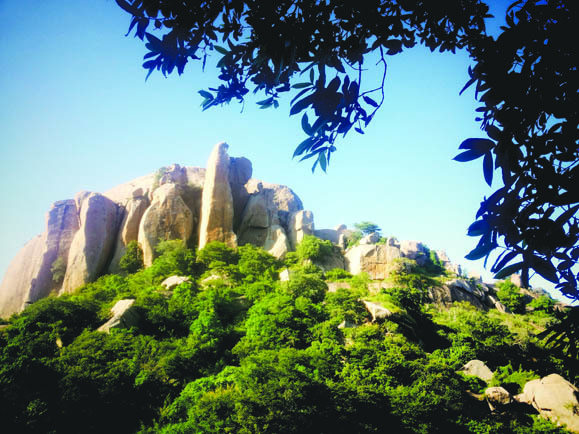 Octagonal French Misty Star Fort of Sakleshpura – Manjarabad !